BEIJING — China’s internet service and related sectors saw fast revenue growth in 2018, with e-commerce and online gaming continuing steady expansion. 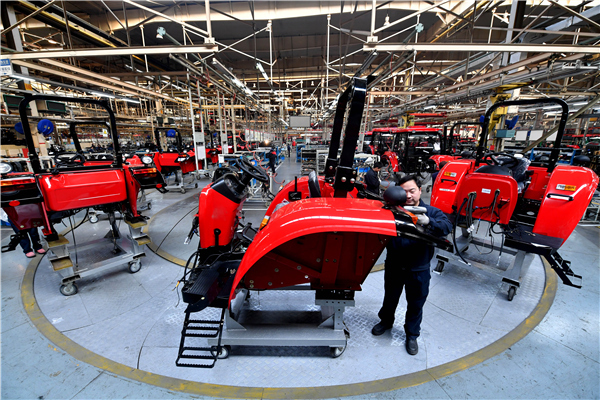 The sectors’ total revenue amounted to 956.2 billion yuan (about $142 billion), up 20.3 percent from 2017, according to the Ministry of Industry and Information Technology (MIIT). The sectors’ spending on research and development reached 49 billion yuan, up 19 percent from 2017. The internet sector has become a key part of China’s “new economy” as the country undergoes a shift to growth driven more by technology and consumption. Internet data center business, for instance, maintained solid growth. With 1.41 million servers installed by the end of December, up 31.8 percent from 2017, the sector posted 15.8 billion yuan in aggregate revenue, up eight percent year-on-year. Some 420,000 mobile applications were added last year, bringing the country’s total number of applications in use to 4.49 million. Gaming applications took the largest share with 1.38 million, followed by applications for life services, e-commerce and theme wallpaper, which numbered 542,000, 421,000 and 374,000 respectively. The number of financial applications increased to 140,000, up 20 percent from the beginning of 2018. Social networking turned out to be the most innovative market with new applications launched to spice up the user’s experiences with short messages and short videos. The ministry said that gaming, system tools, audio-visual players, networking and communications applications were the most popular, with each having been downloaded more than 200 billion times in 2018. The MIIT statistics cover enterprises with annual revenue from internet services of above 3 million yuan in the previous year.